I was content with the success of my Monsoon series and My Girl Friend series. Then I used to get a lot of queries as to why I had never dealt much in abstract. The seed was sown slowly and I started thinking about it. 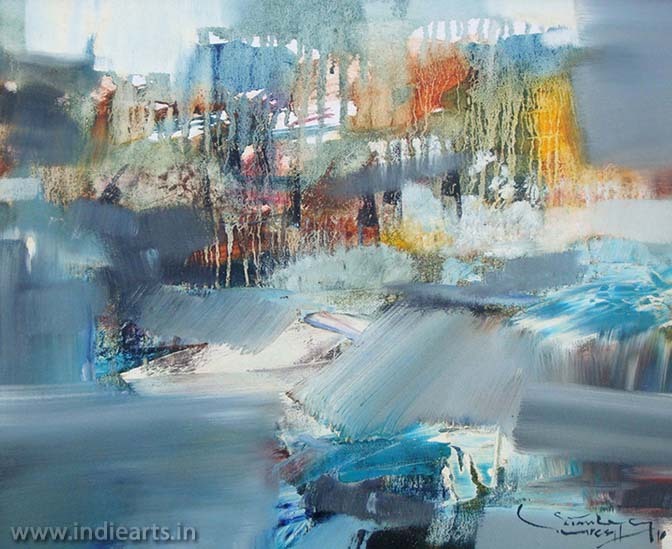 I knew that colour was my forte’ and I have always enjoyed the mysticism that colours can create. So I chose the Butterfly and Flower for my ‘Made for each other’ series. The butterfly has a dark and unpromising childhood, but it leaves behind it’s not so glamorous past and forges for a more promising and bright future. This has inspired me and I know that it will inspire many more when in gloom. Another interesting and significant aspect of the butterfly is the interlacing veins forming interesting patterns and can be actually felt with your finger tips. 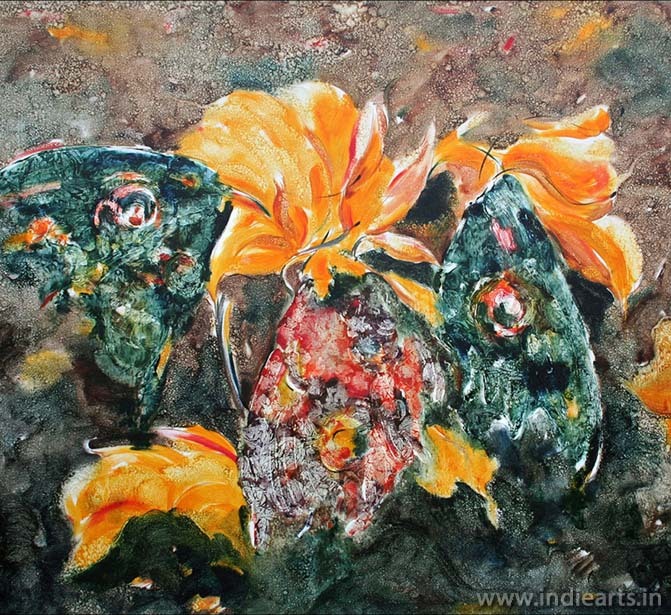 In my paintings you can visually feel the protrusions of the veins in the wings of the butterfly. This attempts the onlooker to feel the texture with finger tips. When he touches the paintings he may feel the protrusions and makes him believe that this unique experiment is continued in all over the painting. But he will be surprised to find out that though the visual illusion is continued the texture cannot be felt everywhere.